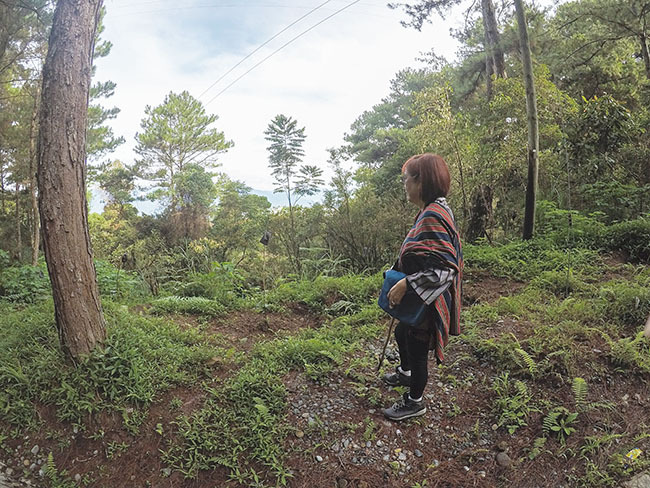 Budding coffee producers dreaming of shade-grown Benguet Arabica in the Cordillera range of mountains in the Philippines. “How does one really start planting coffee? 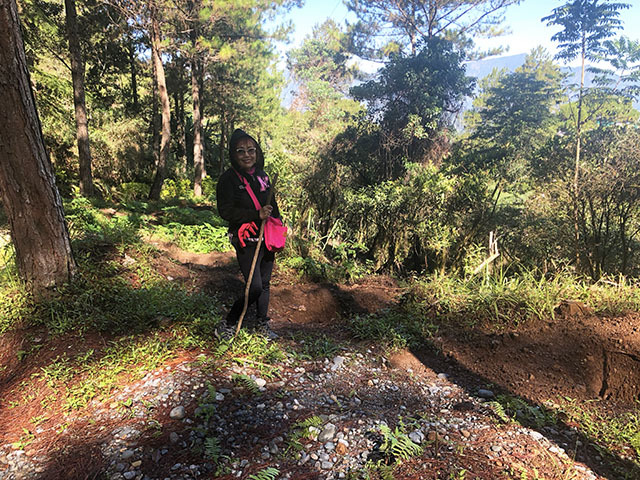 Our land is in Benguet..around 1000 meters elevation. 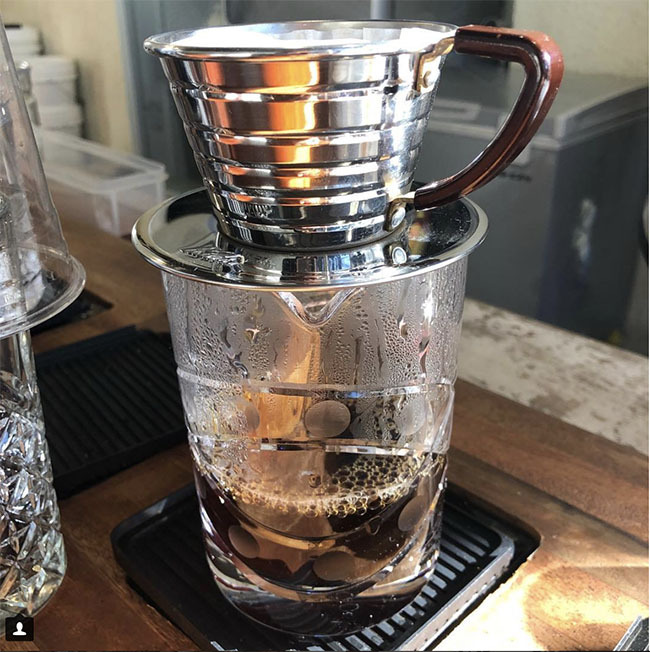 Do you have other resources on how to start coffee farming? An updated article? Any information or leads will be helpful”. Chit’s reply led us to Professor Val Macanes of Benguet State University (BSU). 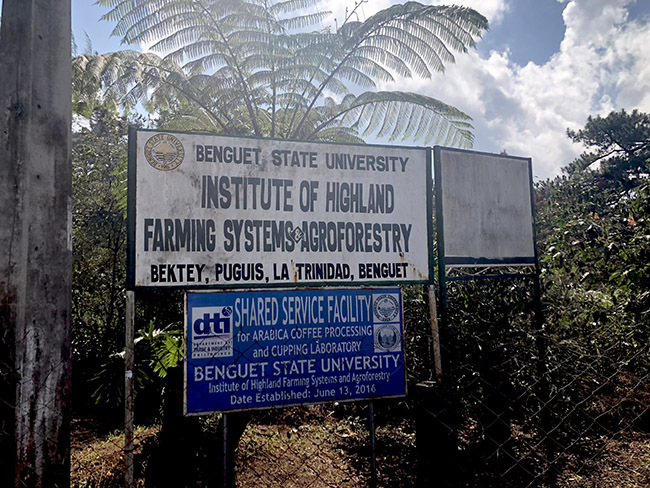 Prof. Val handles the Institute for Highland Farming Systems and Agroforestry (IHFSA) in Bektey, Puguis, La Trinidad, Benguet. It is a 50 hectare campus laboratory for Arabica coffee, bamboo, an apiary, and even Philippine pigs. For inquiries on a coffee farm tour, please visit Philippine Coffee Board. 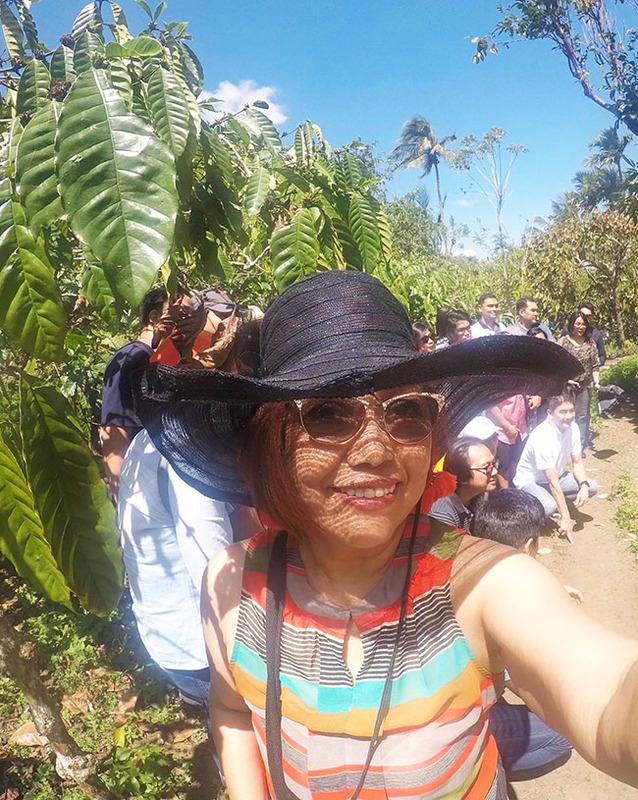 The best way to get an overview of the Philippine coffee industry is to join coffee farm tours, thanks to the Philippine Coffee board . Before I started this tour last February 2018, my limited knowledge on coffee beans rested on the difference between Arabica and Barako beans. All I know was I bought Philippine coffee either from the Cordillera region or Cavite. 1. 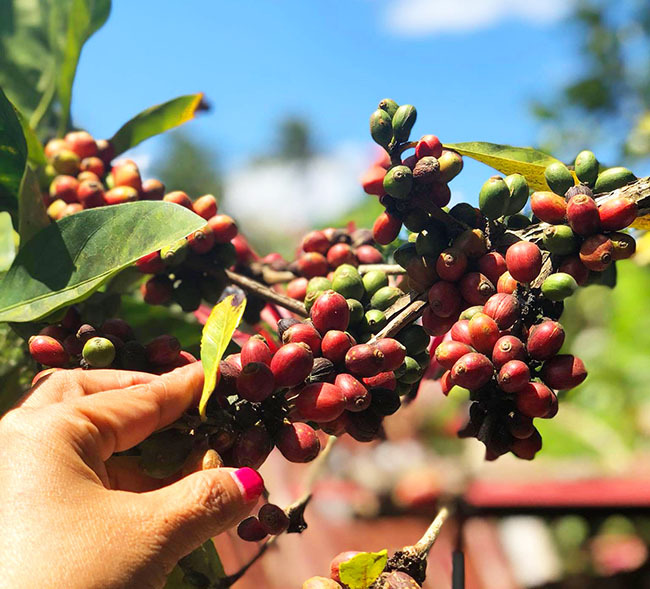 The Philippine Coffee’s current production volumes is only 37,000 metric tons (MT), with an area of 117,454 hectares (ha), and an average yield of 300 kilograms (kg) per hectare. 2. 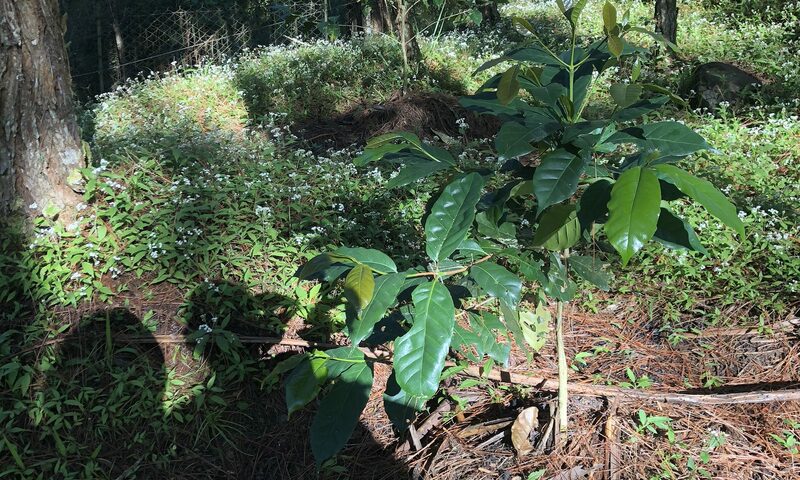 Philippine climate and land are suitable to growing four coffee varieties – Robusta, Arabica, Excelsa and Liberica. The most common variety grown in the country is Robusta, which accounted for 69 percent of total production in 2015. Robusta is mainly used for instant coffee. Next is Arabica, which contributes 24 percent (%). Arabica is mostly cultivated in high elevation areas (1000 meters above sea level) and sells at a premium price. It is primarily used for brewing or blending. Thevother varieties are Excelsa and Liberica (kapeng barako). My love of coffee must have started when the aroma of Nescafe instant coffee filled the air , as soon as my parents mixed their coffee with hot water , sugar and milk. “Can I have coffee, please?” Mom put down her coffee cup , and started to lecture me on the ill-effects of coffee. “You will not grow tall if you drink coffee too early in life.” It was a “no”. I was 10 years old and this was the sixties. 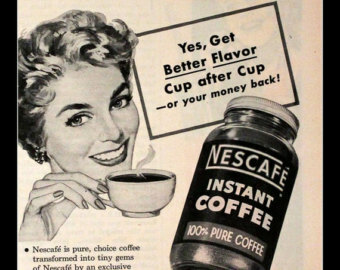 I can’t recall the first time I tasted instant coffee but I knew I drank a lot when I studied late at night in the seventies. Yes, this was the “first wave” , the commercialization of coffee and when instant coffee tasted so good back then. After college, my dad bought me an automatic drip coffee maker which required a paper filter. I felt so techie. I still remember the Hill Bros. Coffee can which was terribly expensive in the early 80s. Anything imported was expensive in those days when the exchange rate of the peso to dollar skyrocketed 200%. Then Starbucks arrived in the Philippines in the nineties. The second wave or the emergence of coffee shops was something so new, a place to chill and meet friends. Everyone wanted to drink their expensive coffee. I thought Starbucks coffee tasted great until I visited my daughter in Melbourne. 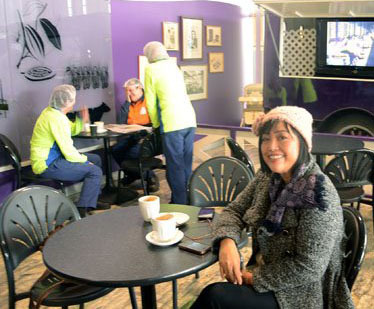 The city is home to a vibrant cafe scene and an impressive coffee culture. This was my first introduction to good coffee and me, saying goodbye to Starbucks (if I could help it). I chose to patronize coffee shops that include Philippine coffee such as Figaro, Bo’s Coffee , and Commune. We are a family of budding coffee producers cultivating shade-grown Benguet arabica coffee in the Cordilleras mountain range of the Philippines. Our family is a budding producer of Benguet Arabica. This is our journey.